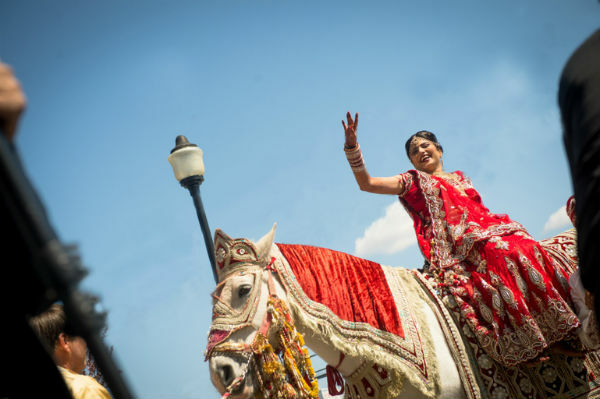 Welcoming the bride to her new home, also known as Grihapravesha, is the most well-known post-wedding ceremony. Accompanied by variegated rituals and traditional games, it serves to relieve the new bride from all her nervous jitters. Post the completion of nuptials, bringing the new bride home is super exhilarating. 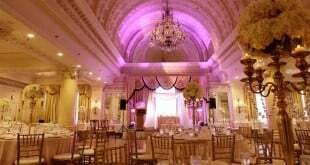 Spreading a fair amount of color, ushering the bandsman, and beautifying the house, we strive to welcome the new bride in the best possible manner. 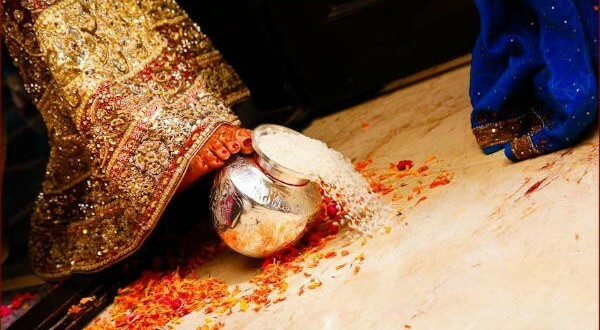 In this article, we have compiled some contemporary ideas to greet the bride in her sasural. Read on. Children are synonymous with innocence and full of mischief. 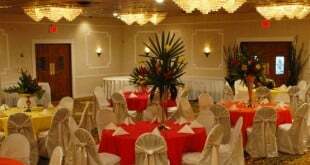 Hence, the very sight of them can uplift the mood of the newly wed in a jiffy. 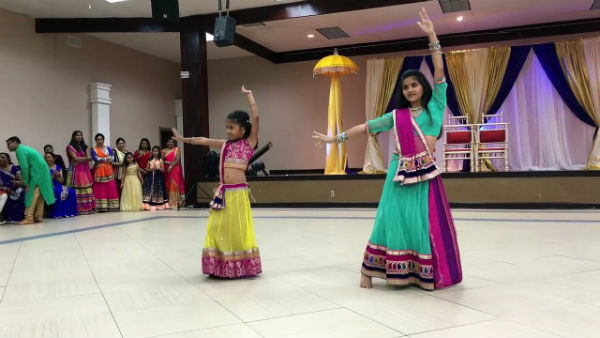 You can also ask them to enact a play or present a dance performance to welcome their new bhabhi,chachi or mami. In addition to making the bride feel special, the children will feel important as well, thereby bonding with the new member right from the beginning. When a wedding procession can be greeted with fireworks, then why the new bride cannot be welcomed with the same fervor? 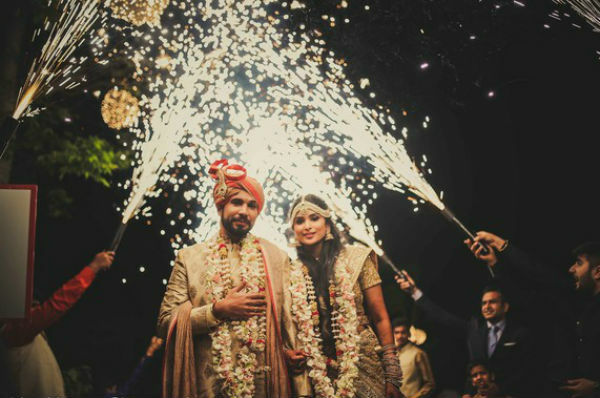 In a bid to greet the new bride, invest in fireworks of the highest quality and illuminate the sky! By making use of air bubble machines, give new bride the feelings of a princess, or rather a queen and welcome her in a fairytale style. From children to the septuagenarians, everyone can partake in it. Such an act is bound to make the bride feel accepted and loved. Deviate from the conventional and opt for something out-of-the-box. Say for instance, rather than folk songs, greet the newly-weds with posters featuring naughty quotes. They can be sweet, hilarious, or simply wild. Make sure it calms the nerves of the bride. 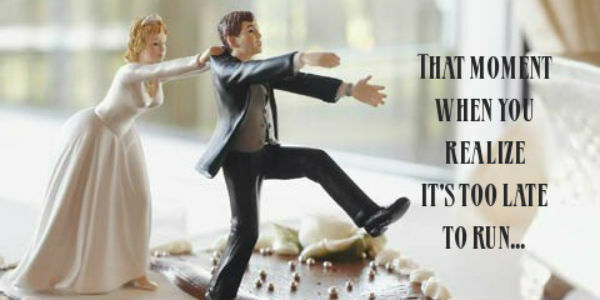 Welcome the blushing bride to her new home with some amusing sayings. 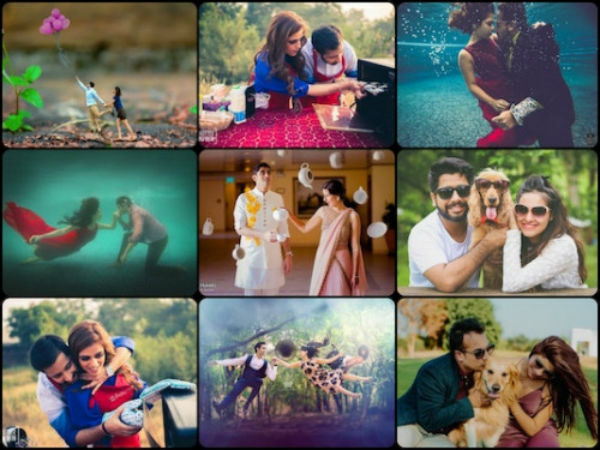 To make the pre-wedding photoshoot different and noticeable among a group of things, the millennial couples devise creative ideas. A pre-wedding photoshoot demands capitalistic investments, time management, and planning in abundance. How about putting this into use for welcoming the new bride too? Welcome the newly-weds home by creating banners and huge collages of the couple’s pictures. In today’s time and age, when men and women walk shoulder to shoulder in every realm of life, then why would the women lag behind in the domain of them being welcomed in their sasural? Give the new member of your family a sweet surprise by ushering her into your home on a horse. 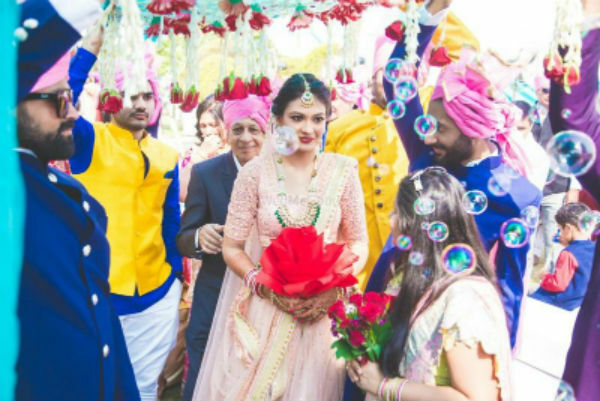 Trust us, not only the new bride would feel special and cherish this moment throughout her life, your relatives and neighbours will recall this event at every next wedding as well. 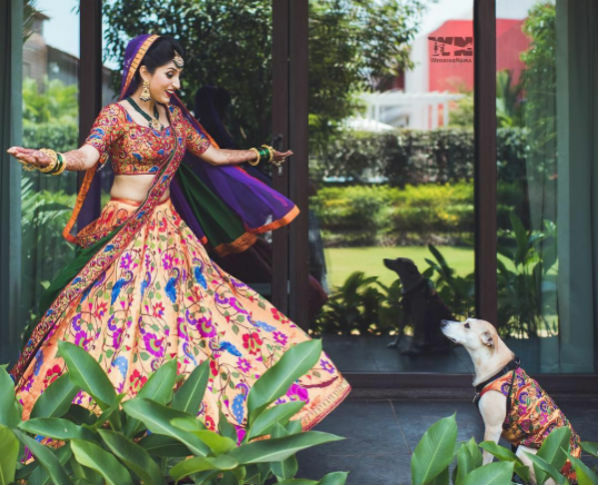 It would be super fun to let your pets, if you have any, also take part in the wedding festivities. Along with you, let these adorable and loyal creatures also welcome the new bride home, carrying a nice welcome dialog around their neck and all dressed up.